How cool is this? To get an email, out of the blue telling me that Centerworks.com has been ranked by Feedspot as having one of the Top 75 Pilates Blogs on the web for 2017. Then to find out that out of 75 Pilates blogs, Centerworks is ranked 11th! Woo Hoo!! I love teaching Pilates, and for all the people out there that can’t make it to my studio to take Private lessons and classes with me, I’m glad you’re finding and reading my blog posts. I truly hope that whether you are a fellow Pilates teacher, avid student, or just getting started discovering what Pilates is, what it can do, and how it can help improve your whole-body health, that reading the articles on my blog spark an idea, educate you to think about how your stand, sit, and move, or inspire you to delve even deeper into paying attention to how your body is put together to move well. Better posture, breathing, and body awareness to improve functional movement and achieve wellness success is the message I want to help spread to the world. I strongly believe that the Pilates Method is one of the best systems available to help maintain good health. Our bodies were designed to move. When we’re moving well, nothing hurts, and everything stays healthy. Life throws us curveballs and challenges which is why Pilates is a practice. But with so many wonderful Pilates exercises and such brilliantly designed Pilates equipment to play on – every workout can be a health-enhancing experience. Plus, I consider Pilates to be a “rabbit-hole” of opportunities to further develop the mind-body connection while improving strength, flexibility, and fitness. It’s hard to believe that I’m now twenty-five years into my full-time career as a Pilates Teacher and studio owner. And still, every single day I learn something new about the body that can help me help my clients improve their health! My goal with the Centerworks.com blog is to share some of these little ah-ha moments with you! If you’re a fan of Centerworks and my blog posts – THANK YOU from the bottom of my heart! Blogging is a lonely job… I don’t always hear from my readers to know who’s enjoying my posts, but I’m very glad you’re out there. If you’re interested in gleaning more tidbits of health inspiration from other experts in the Pilates industry, and are curious to see who else made the list. 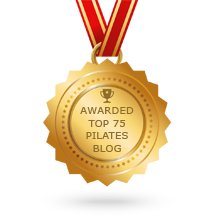 I hope you’ll check out this article to learn more — Top 75 Pilates Blogs. And, if you want to stay in the loop for what’s happening at Centerworks – I hope you’ll get on the list for my Wellness Success eNews and updates. I’ve never been one to clutter your inbox with mail – but do promise to give you good usable content to help you keep moving in a positive direction to improve your health. Posted by administrator in Book Reviews, Pilates. A good friend recommended the book Autobiography of a Yogi , by Paramahansa Yogananda to me a while ago, and I’ve been slowly working my way through it! It is an excellent read for anyone interested in a life story filled with exceptional information about the spiritual journey of a man, and Yogi, and religious insights for health, wellness, and enlightenment. I have personally gleaned many little gems of information that have added deeper dimensions of perspective and awareness to my life, and I’m only half-way through the book on my first read. Some books I don’t care to read more than once, this book I look forward to reading again, but with a pen and highlighter in hand next time through so I can mark the passages and insights that have relevance to my life that it would be great to quickly find for reference and review. I have not done much yoga in my life yet, nor am I completely up to speed on the culture and religious values of the people of India, but this book is inspiring me to want to learn more and perhaps discover new insights for my life’s journey to higher states of enlightenment and a deeper connection to my spiritual self. I can see some of the points of perspective that Joseph H. Pilates may have taken from his studies of Yoga and Eastern Philosophies that have been incorporated into the Pilates Method, system, and exercises. And although the spiritual aspect of Pilates is not discussed much, I do know for me, as my mind-body awareness and physical health has improved with the practice of Pilates, there has been a positive shift and uplift of my spirit too! I am looking forward to finishing this book, AND then starting again from the beginning for a second read. Perhaps the Autobiography of a Yogi will even inspire me to delve into a bit more Yoga and perhaps add some Yoga training to my lifestyle for added growth of my spiritual and physical health and wellness… It will be interesting to see what evolves! Many thanks to my friend Deborah for the recommendation, and I too highly recommend this book! Posted by Aliesa George in Book Reviews, Health, Meditation, Pilates, yoga.